Early in his legal career, Oliver W. Hill developed a reputation as a no-nonsense civil rights attorney dedicated to eradicating the injustices that limited the advancement of African Americans. It was a reputation well deserved, as he won cases securing equal rights for African Americans in education and employment, and played a key role in overturning the “separate but equal” doctrine set by Plessy v. Ferguson. Spending much of his early years in the South and growing up in the shadow of the 1896 Supreme Court decision Plessy v. Ferguson, Hill saw first-hand the impact of segregation. He left his home in 1927 for Dunbar High School in Washington, D.C. because public education for African Americans stopped at the eighth grade. Shortly thereafter, he enrolled at Howard University. It was during his studies at Howard University in Washington, D.C., where he earned his undergraduate degree in 1931, that Hill began to study how segregation laws violated rights granted by the Constitution. Realizing that the best way for African Americans to attain equal rights in this nation would be through the legal system, Hill began his lifelong commitment to uphold civil rights and fight social injustices as an attorney. Hill graduated from Howard Law School in 1933. He ranked second in his graduating class behind future Supreme Court Justice Thurgood Marshall. In 1934, he married Beresenia Walker. The early years of practicing law were difficult, leading him to return to Richmond in the late 1930s. Shortly thereafter, he reached his first major legal victory. In Alston v. Norfolk Board of Education, Hill won the right for African American teachers to earn equal pay as white teachers. Hill’s return to Richmond also marked the beginning of his service in the local, and later federal, government. Hill sought and won a seat on the Richmond City Council, making him the first African American to be elected to that position in 52 years. 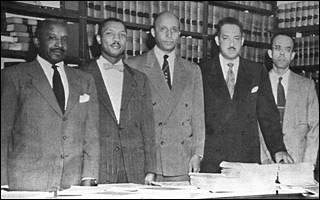 Hill’s relationship with the National Association for the Advancement of Colored People on lawsuits against the state of Virginia was key in his work on the case for which he is best known. 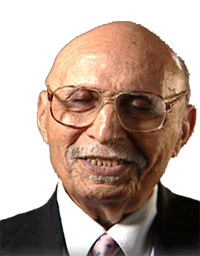 He served as the lead attorney on the Davis v. County School Board of Prince Edward County lawsuit, which became part of the 1954 Brown v. Board of Education decision, which overturned Plessy v. Ferguson. Hill also served as the assistant to the commissioner of the Federal Housing Authority from 1961 to 1966, and in 1999, President Bill Clinton awarded him the coveted Presidential Medal of Freedom. Throughout his lifetime, Hill challenged the laws of the land and stood strong in his beliefs. Hill died of a heart ailment on August 5, 2007. He was preceded in death by his late wife, Beresenia. Survivors include a son, Oliver W. Hill Jr. of Richmond; three grandchildren; and three great-grandchildren.